Tembisa hospital accused of 'violating patients' rights - SABC News - Breaking news, special reports, world, business, sport coverage of all South African current events. Africa's news leader. The hospital management has acknowledged the challenges and blame some of this on staff shortages and lack of adequate space. 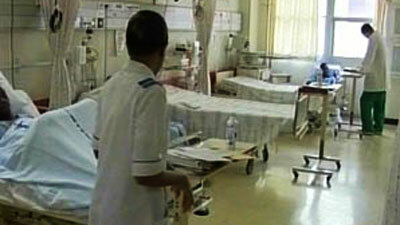 The Human Rights Commission says the Tembisa Hospital, East of Johannesburg, has violated patients’ rights. There’ve been allegations of patients sleeping on the floors, shortage of medicine and ill-treatment of patients. The commission visited the hospital as part of their oversight. Spokesperson Baung Jones says more investigations are still to be done. “We have made a prima-faque assessment that there has been violations but we still need to conduct further investigations….this was also the findings, the exercise and the mission by the Human Rights Commission,” says Jones. This entry was posted on 15 May 2018,05:12PM at 5:12 PM and is filed under South Africa, News, Homepage Latest Stories Slider. You can follow any responses to this entry through the RSS 2.0 feed. Both comments and pings are currently closed.